STARS Basketball program based out of Falmouth and Needham that emphasize Sportsmanship, Teamwork, Player Growth, and Hard Work. Our experienced and skilled coaches within the program always strive to compete at the highest level while being positive role models for our players. All of our coaches have experience coaching or playing at the professional, college or high school level. Our program will create a love for the game, a proper balance between competitive and fun, develop individual skills and create team players that understand the game. CroART is proud to manage programs for STARS, a non-profit youth development organization offering guidance and training for America's youth, ages 7 - 19, preparing them for enriching college experiences, and productive lives as future leaders of their communities through healthy academic and athletic competition. Visit www.studentathletesrising.org to learn more about the organization. Our cost includes tournament entries, uniform, practices and coaches. Once player evaluations are complete for your age group, if selected to a team, parents will be asked to make a decision about playing with our program. 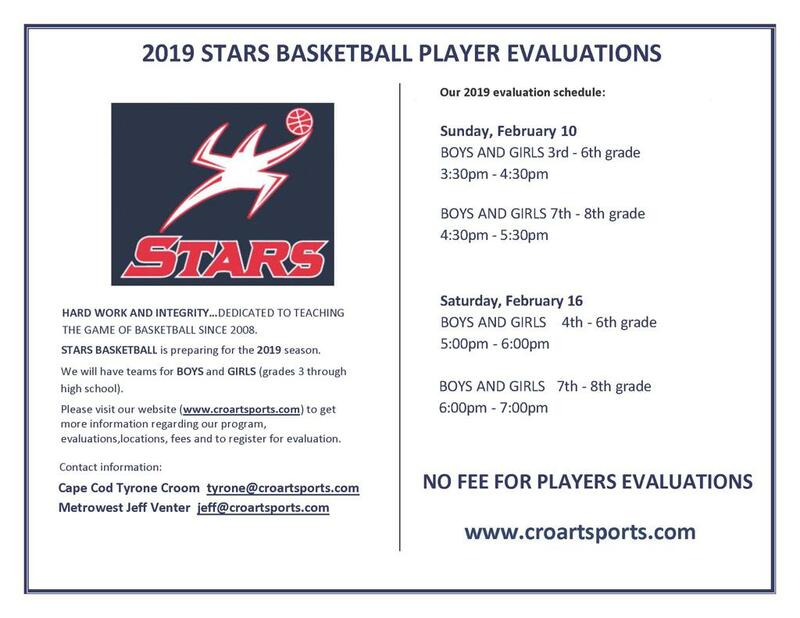 if you can not make one of our evaluation dates please email and set up a time for your child to be evaluated and for you to learn about our program.